We are a leading Manufacturer of tray dryer from New Delhi, India. 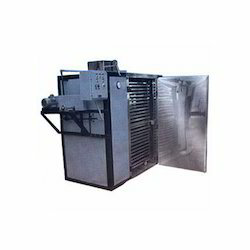 With the assistance of our expert engineers, we are engaged in manufacturing and supplying hot air oven / tray dryer. These are widely used in various in pharmaceutical industry. The fabricated unit is electrically heated drying chamber, which is suitable for drying granules. Further, these are attached with double walled body, housing and insulated with heavy fiber glass wool, with special u type heaters, air circulation fan. These products are made up of mid steel and are duly painted and finished inside with heat resistant aluminum paint. Looking for Tray Dryer ?